Hand knit flowers are perfect for embellishing larger projects; they can be stitched onto a hand knit hat to form a cloche, used to add a personal touch to a wrapped gift or stitched onto a garment to give it an extra bit of charm. 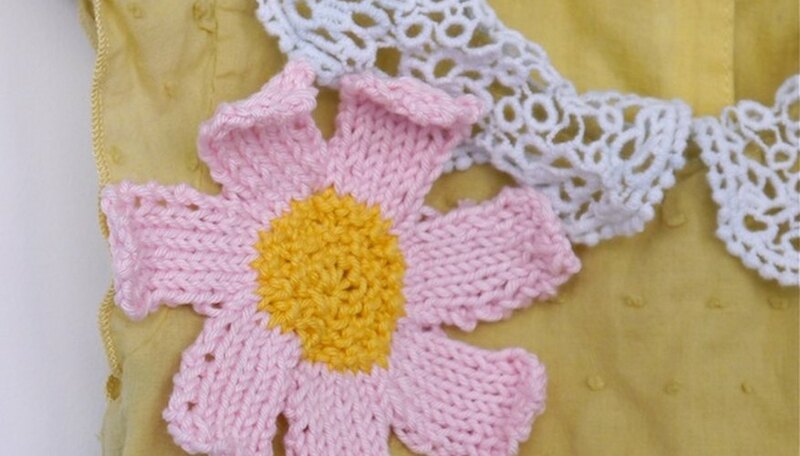 The flowers require only a bit of knitting experience and can easily be customized to suit your tastes and needs. Cast on two stitches. 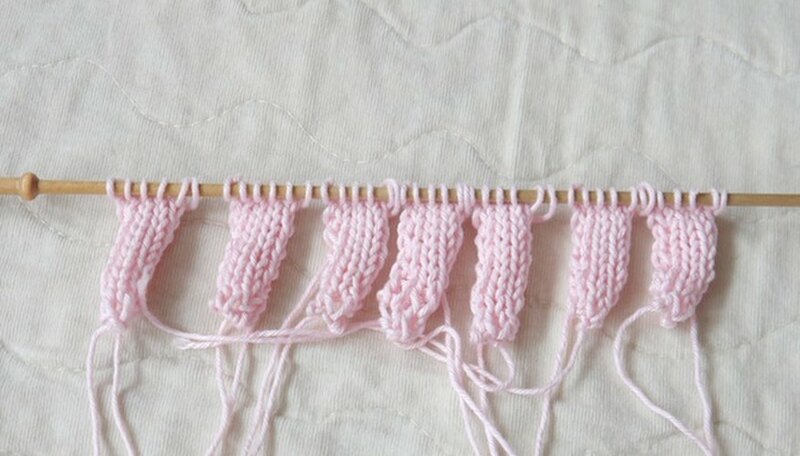 Knit into the front and back of each stitch. You now have four stitches. Purl 1 row. Knit front and back, knit 2, knit front and back. You now have six stitches. Purl 1 row. Work six rows in stockinette stitch: purl on the wrong side, and knit on the right side. 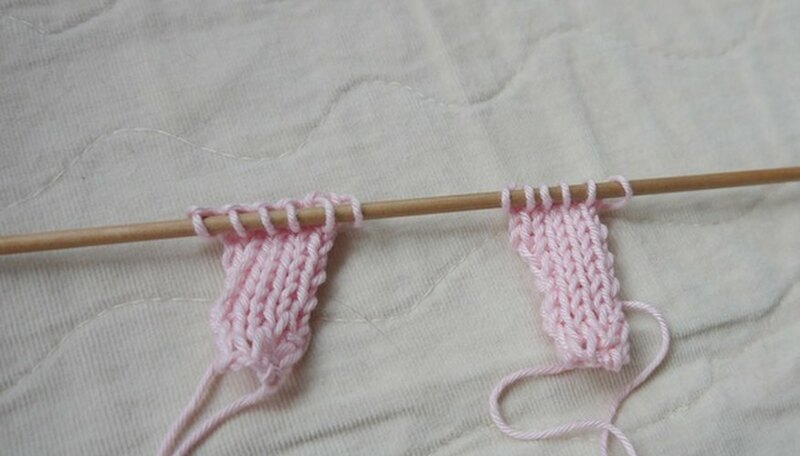 Cut the yarn and slide the petal to the end of the knitting needle so it won't fall off. 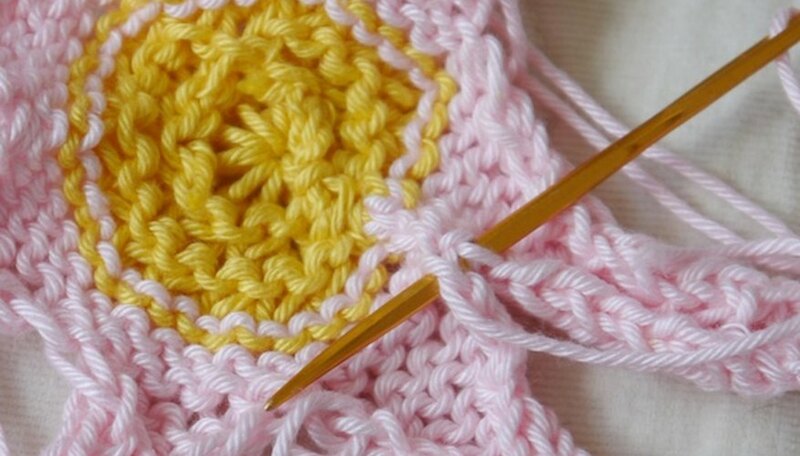 Knit a second petal by casting two stitches onto the needle that holds the resting petal. Cut the yarn and slide this petal to the end of the knitting needle next to the first one. Make five more petals, until you have seven petals resting on your needle. Do not cut the yarn after knitting the final petal. 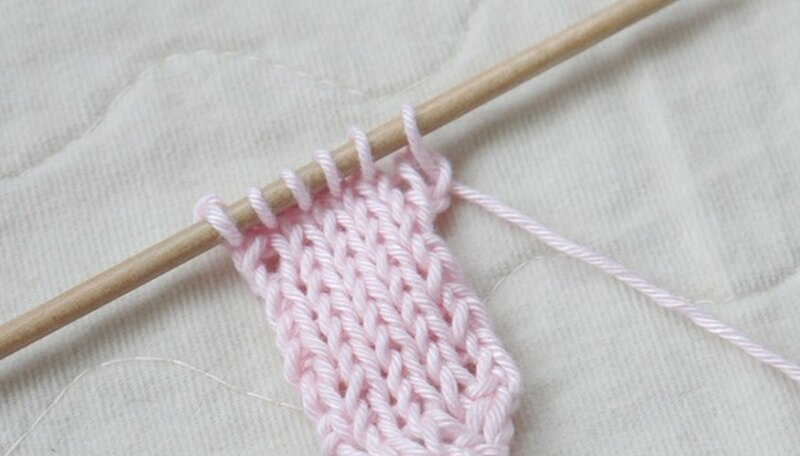 Knit into the last stitch of the first petal on your needle. 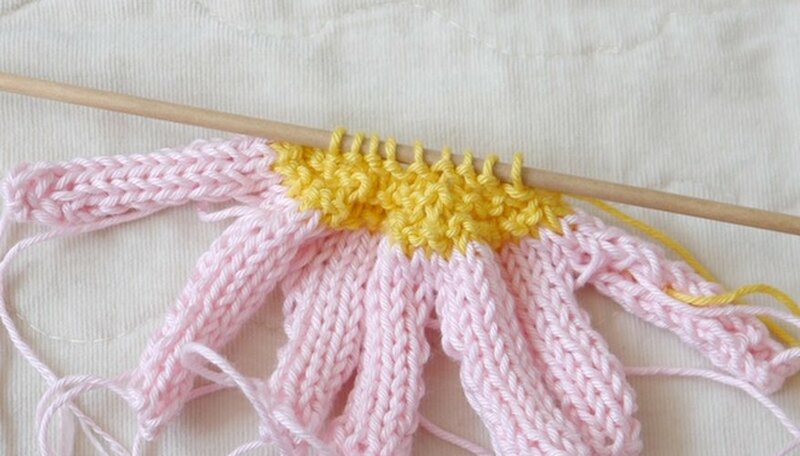 Knit this last stitch together with the first stitch of the next petal; one stitch has been decreased. 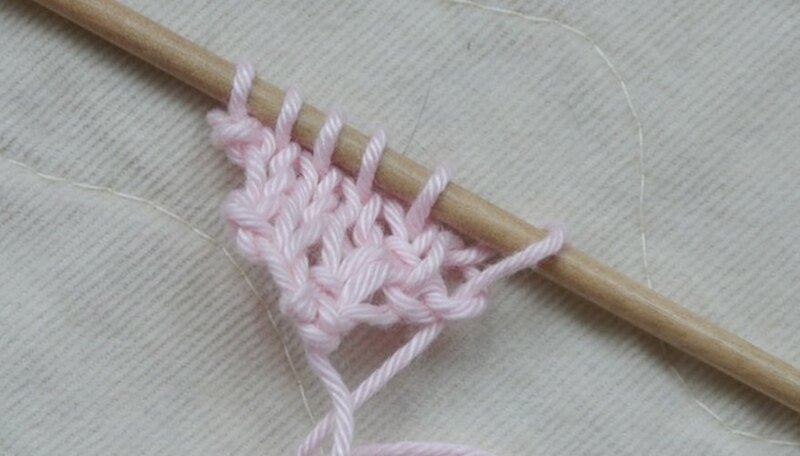 Knit into the last stitch of this petal, and knit together this last stitch with the first stitch of the next petal. Repeat this process until all the petals are attached. Knit into the end of the final petal. You have 36 stitches on your needles. Purl 1 row, and cut the yarn. Change to your contrasting color yarn. Knit 2 rows. Knit 2 stitches together across the entire row. You have 18 stitches on your needles. Knit 1 row. Knit 2 stitches together across the entire row. You now have nine stitches on your needles. Knit 1 row. Cut your yarn, leaving a long tail. Thread the tail through the yarn needle and insert the needle through the remaining nine stitches, lifting them off of the knitting needle. 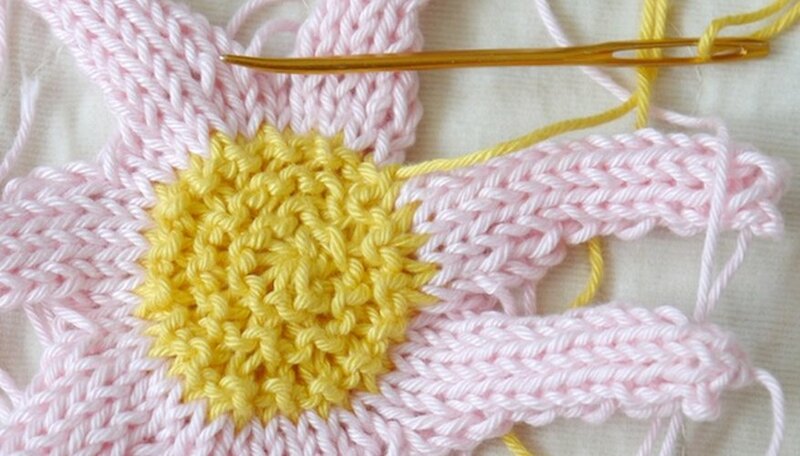 Pull the stitches tightly and use the yarn needle to sew up the side of the center of the flower to close the circle. 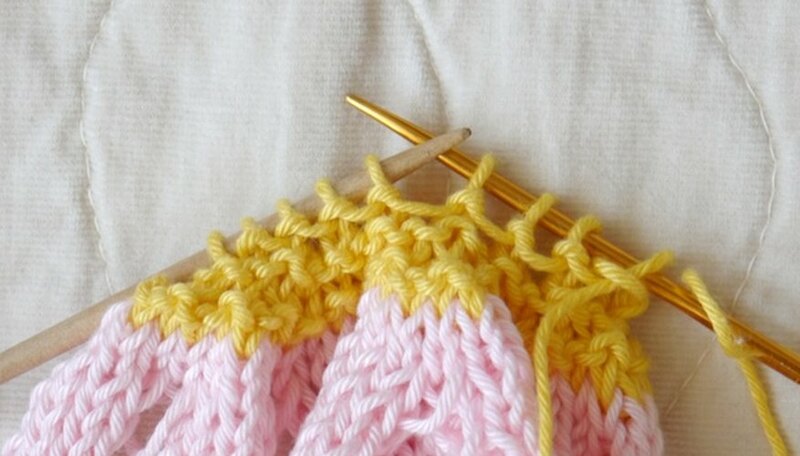 Use the yarn needle to weave in the contrasting color yarn on the wrong side. 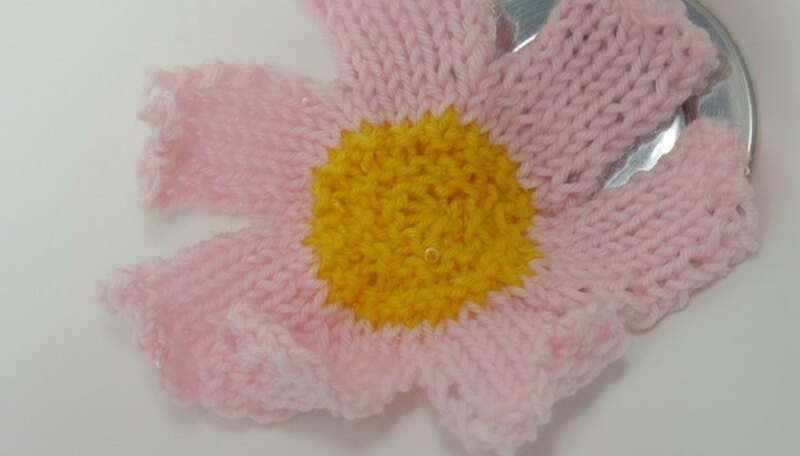 Using the petal tail closest to where you closed the flower circle, stitch up a few rows to match the other petals. Weave in the petal ends on the wrong side. Immerse the flower in a sink full of warm water and allow it to soak for five minutes. Gently squeeze out the excess water and lay the flower flat on a towel to dry, pressing the petals into shape. Any needle size and yarn works well. Larger needles and heavier yarn make larger flowers, and vice versa. You can vary the number of petals to make different types of flowers. 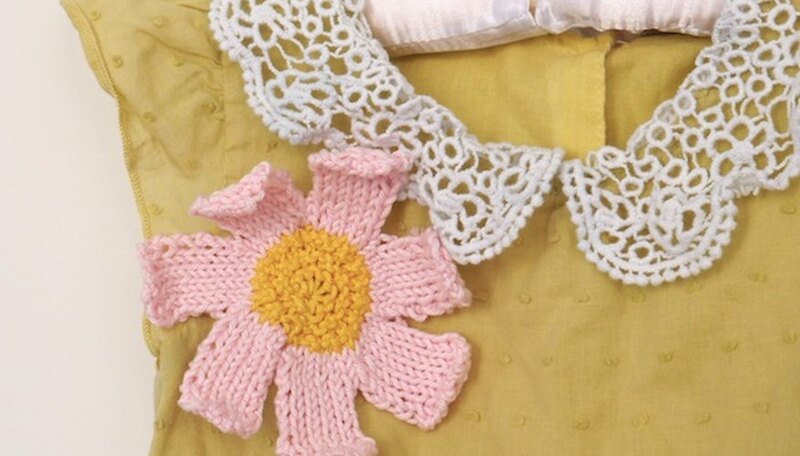 Knit a green petal and attach it to the flower to serve as a leaf. Nikki Van De Car is a knitting and motherhood blogger for the website What To Knit When You're Expecting. Her collection of knitting patterns, "What To Knit When You're Expecting," is available from Running Press.